It seems so easy on paper. You knew that when the day came, you were going to rock at the money side of life. The answer is really quite simple and there was no doubt you would be able to pull that off. But real life is never as easy as it seems on paper. Financial security is no different. When real life kicks in and we become distracted by our many grown-up responsibilities, we can very quickly forget the simple and basic foundation for financial security. How quickly we can ignore the basics and let ourselves chase our immediate wants and ignore long-term needs. Sometimes we do this consciously and sometime we do it without even realizing it. What is the foundation of financial security? What is this magic formula? That’s it. It is that easy. That easy on paper. It is one of those “Duh!” things in life. If you want to be financial secure, you have to spend less than you make. 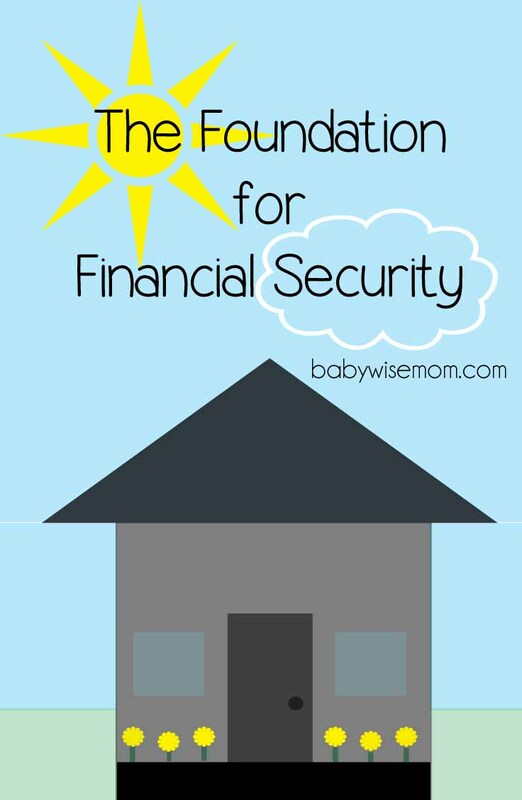 You cannot have financial security without that foundational principle. I know, it seems pretty obvious, right? Did you know the average American household in 2015 had over $15,000 in credit card debt? 39% of the country has credit card debt–just credit card. That doesn’t bring into account student loans, car loans, and other types of debt. Does that seem like we are fulling grasping this basic “spend less than you earn” idea? Here is the battle we face to keep our spend less than you earn thing going on: life style. You have a standard of living. This is how you want to be able to live your life. This is what you want to attain. This isn’t a bad thing–it can motivate us to reach for more. The problem is this thing called reality. In the financial world, it is called level of living. The level of living is what you actually are living. When we push our level of living beyond what we can financially afford in pursuit of standard of living, we go into debt. It might sound harsh, but spending money you don’t have or don’t need to spend is being selfish. Sometimes we can act like little toddlers in thinking about cutting things out of our lives. You might find yourself needing to cut that Dish subscription. You don’t want to live without your TV! You need to find another way to save the money or you need to cut it until you can afford it. REAL needs. Very little in life is a real NEED. But it is understandable to want a higher level of living than a tent, firepit, and a bucket. That is why having goals can be so helpful. What goals do you want to achieve and what level of living are you willing to be at in order to reach that goal. Maybe you are willing to reach that goal a year later than you would other wise in order to keep around X, Y, and Z items in your life. You must accept reality as it is now. Businesses want us to buy NOW, not later. We can find ourselves justifying buying things on credit because we will be able to enjoy it longer. We will have more family time with it. We can buy it now, use it for 3 years sooner, and just pay it off little by little. It is the same as if we were saving little by little for three years, right?!? The trouble is that life happens. Expenses that are unexpected come up. The car breaks down. We need a new dishwasher. Our children grow faster than we can keep clothes on them. When that money is being saved toward something, we can use it that month to pay for the unexpected. When the money is already owed somewhere else, we incur more debt. Save the money first. Then pay for it. This helps you to really want the item before you pay for it. It helps you to weigh it versus those random things you just came across at Target. You need to know how much money you make. You need to know how much of that money is already going to your fixed expenses like mortgage/rent, electricity, water, utilities…you need to know what you typically spend a month on groceries, gas, non-food items, clothing, home repair…you need to know what you are paying into activities for the kids…Figure these things out. Then figure out how much extra you have floating around. I am guessing it will be less than you imagined. Then when you are thinking about spending money on something, think if you want that little bit of extra money you have floating around going toward that or somewhere else. If your fixed expenses seem high, see what you can do to manage those expenses. What can you cut? Is there a way to reduce utility bills? Know and understand what your level of living is right now. 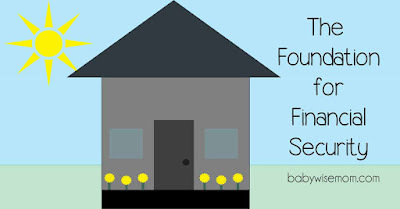 Too many people my age and younger are wanting to move out of their parent’s home and maintain the standard of living they had while living with mom and dad. That would be nice, but mom and dad spent a lifetime together to build up that standard. They didn’t buy it all in one year. They didn’t earn the income all at once. They had to work to build that all up. Have a basic savings set up so you can meet emergencies. Different financial advisers suggest different types of savings. Shoot for at least 3 months of your fixed expenses saved up. You can definitely do more. It takes some time. Do it. Financial security is well worth the effort it takes to attain. Happiness is not found in accruing stuff, especially when you can’t afford it in the first place. It is found in managing your finances in a sound way. Happiness is not fulfilling your every whim and desire. You will find more satisfaction in the purchases you do make when you do it in a financially responsible way. Give it a try.